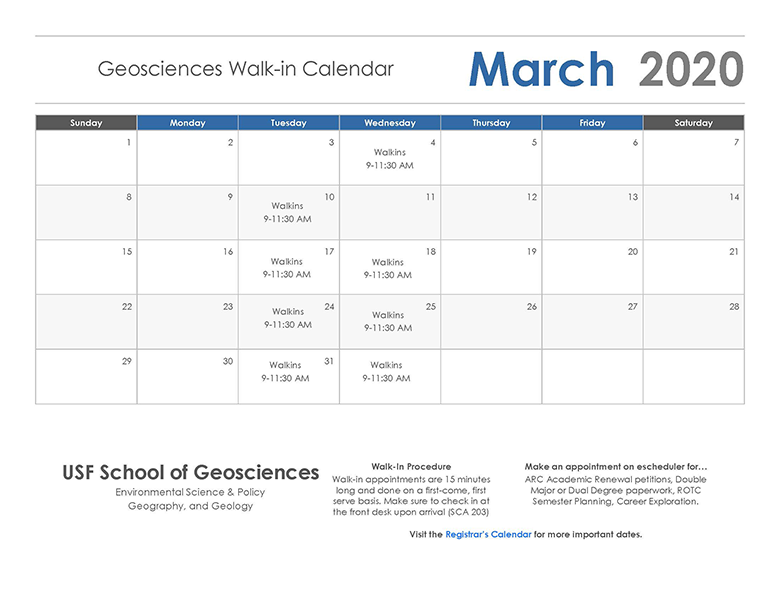 Welcome to the School of Geosciences at the University of South Florida. Our mission is to provide our students with an outstanding education in the Geosciences that will prepare them to work as professionals and to address major questions about our environment and natural resources. Our faculty lead the academic community in exploration of a wide range of global earth science questions and challenges. Our graduate students participate in this research, pursuing projects all over the world in a variety of disciplines, including atmospheric sciences, coastal studies, geochemistry, geodesy, geophysics, geographic information science (GIScience), hydrogeology and water resource management, karst studies, natural hazards, paleo-environmental science, seismology, tectonics, volcanology, and more. We offer BA, BS, MS and PhD degrees in Geology, Geography, and Environmental Science and Policy (ESP). Congratulations to both Sylvain Charbonnier and Tom Crisman on receiving the 2019 Outstanding Faculty Award, Tom in recognition of his election to the AAAS and Sylvain in recognition of his NSF CAREER award. The School of Geosciences, the Geology Alumni Society and the Southwest Florida Water Management District are pleased to announce the Fall 2018 Professional Science Masters Symposium. The GGSO annual holiday party is today November 29th at Southern Brewing and Winemaking (4500 N Nebraska Ave, Tampa) from 6-9pm. Tickets are $5. Congratulations to Aurelie Germa for being awarded an AFN-WISS travel grant to visit Florida International University (FIU) in the Spring. The School of Geosciences congratulates Dr. Sylvain Charbonnier on receiving the NSF CAREER award for his research in volcanology and hazard assessment. See his USF Faculty Honoree page for more. The School of Geosciences congratulates Geography and Environmental Science and Policy Doctoral Candidate Kevin Martyn on receiving the International Travel Grant from the USF Office of Graduate Studies to present at the RGS-IBG Annual International Conference 2018. Please enjoy the USF Geology Alumni Society's 5th issue of Into the Field, a newsletter dedicated to promoting the vitality of the USF Geology Field School Program. Thank you Dorien McGee! The School of Geosciences congratulates Dr. Len Vacher on his receipt of the Bernie Madison Outstanding National Numeracy Network Contribution Award for his contributions to the National Numeracy Network and the journal Numeracy. 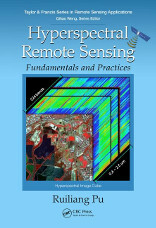 The School of Geosciences congratulates Dr. Ruiliang Pu for his new book Hyperspectral Remote Sensing: Fundamentals and Practices published by CRC Press. 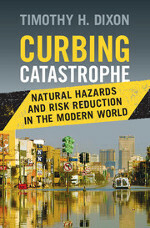 The School of Geosciences congratulates Prof. Timothy H. Dixon for his new book Curbing Catastrophe: Natural Hazards and Risk Reduction in the Modern World published by Cambridge University Press. Join the Geoscience faculty, students, staff and guests for Coffee Hour - When: Mondays at 9:30 - 10:30 am Where: Science Center Break Room (SCA 512) - All are invited! Hosted by the Geology Grad Student Organization (GGSO). 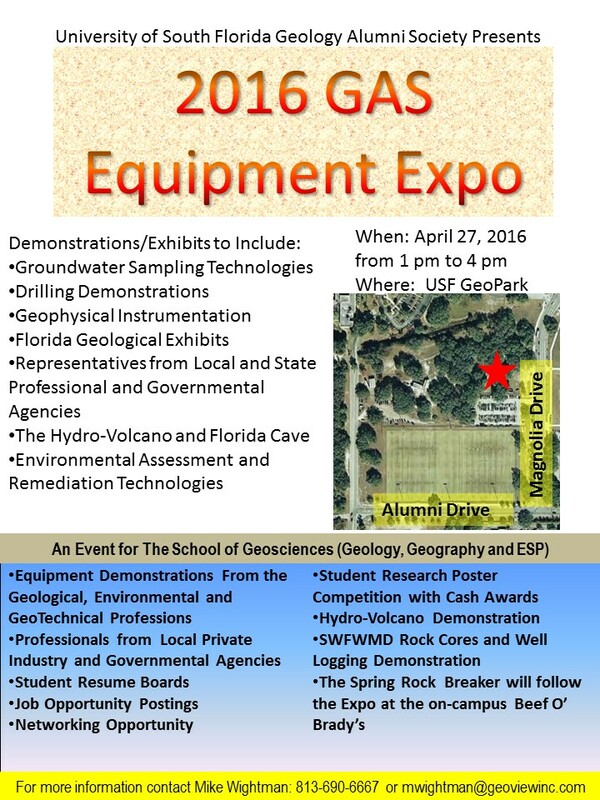 The School of Geosciences and the Geology Alumni Society are pleased to announce the GAS Equipment Expo on April 27, 2016 at USF GeoPark from 1:00 to 4:00 pm. USF Professor Matt Pasek, USF researcher Maheen Gull and their colleagues at Georgia Institute of Technology study the possibility that meteorites carried minerals to the early earth that reacted with water and provided an essential chemical for life to exist on earth. See the EurekAlert! posting here. The School of Geosciences is very pleased to welcome Dr. Zhongwei Liu as Visiting Instructor GIScience for Fall 2015 and Spring 2016. Google honors seismologist and geophysicist Inge Lehmann. See the Google posting here and read about the Danish scientist who discovered the Earth's inner core. 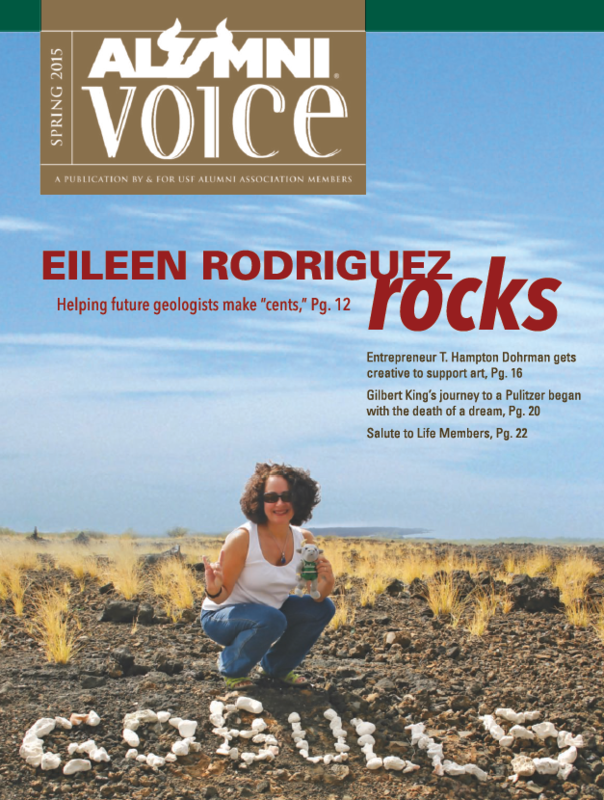 Business Expert Rocks her Passions -- Eileen Rodriguez (1987 Alum) featured in Alumni Voice, 2015 Spring Issue. Way to go Eileen! Congratulations to doctoral student Ophelia George and the Geosciences volcanology group for their paper "A High-resolution Ground-Based Magnetic Survey of a Buried Volcano" in Statistics in Volcanology. Please enjoy the USF Geology Alumni Society's second issue of Into the Field, a newsletter dedicated to promoting the vitality of the USF Geology Field School Program. Read Prof. Jeff Ryan's blog about his two month voyage as geochemist on the Research Vessel JOIDES Resolution. Congratulations to Kaitlin Deutsch, one of three USF undergraduates who will receive a Barry M. Goldwater Scholarship this year. Kaitlin is a double major in Biology and Environmental Science and Policy. The Goldwater Scholarship program is fiercely competitive and is the most pretigious undergraduate award for science and research. See the USF Magazine Summer 2014 edition for the complete story. Roy Price (PhD Geology 1999) traveled with the HYDROPRONY research group on a field expedition to test whether deep ocean vents can produce organic compounds without any biological influence. Read about this interesting research at AstroBiology Magazine. The School of Geosciences is very pleased to welcome Mandy K. Stuck as Academic Program Specialist for Geology. Mandy is seriously enthused about working with the faculty and students in Geoscience and learning more about the enormous rock in the Environmental Science Building lobby. The School of Geosciences is very pleased to welcome Danny Lindsay as Teaching Lab Manager. Danny has a BS in Geology from USF and will be assisting with the teaching labs, managing the teaching collections and assisting with the summer field camps. 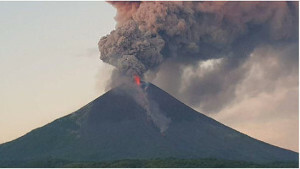 The School of Geosciences is seeking a tenure-track Assistant Professor of Physical Volcanology with an emphasis on hazard assessment. See the posting for more information. Congratulations to Dr. Matt Pasek for receiving funding from NASA’s NSPIRES program to study the role of phosphorous in the origin of life on Earth and to analyze similar organic-phosphate materials to identify chemical signs of life on Jupiter's moon Europa. 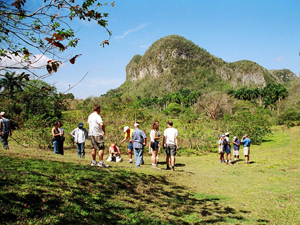 USF School of Geosciences Ranked #69 by U.S. News and World Report! Breaking news: AIST team digitally preserving NASA launch pad. Check out the AIST website for the complete story! Check out the inaugural issue of Into the Field, a newsletter published by the USF Geology Alumni Society! School of Geosciences Open House - Wednesday, Oct. 16th - All are invited! Geology students: Interview with Exxon-Mobil - on campus, Oct 14 - 16. See Dawn McGowan (GeoSci Office Manager) for details!